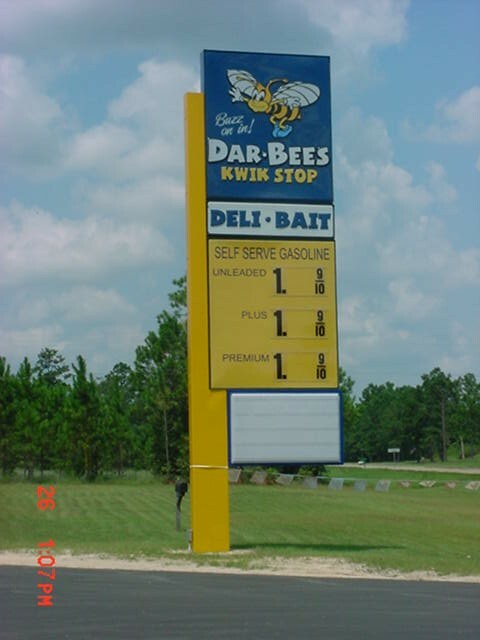 Dar-Bees, located on U.S. Highway 90 in Cypress, Florida. Taken August 26, 2003 by Tod Allen. This was a Chevron until just a few weeks ago.